The young man and the sea. 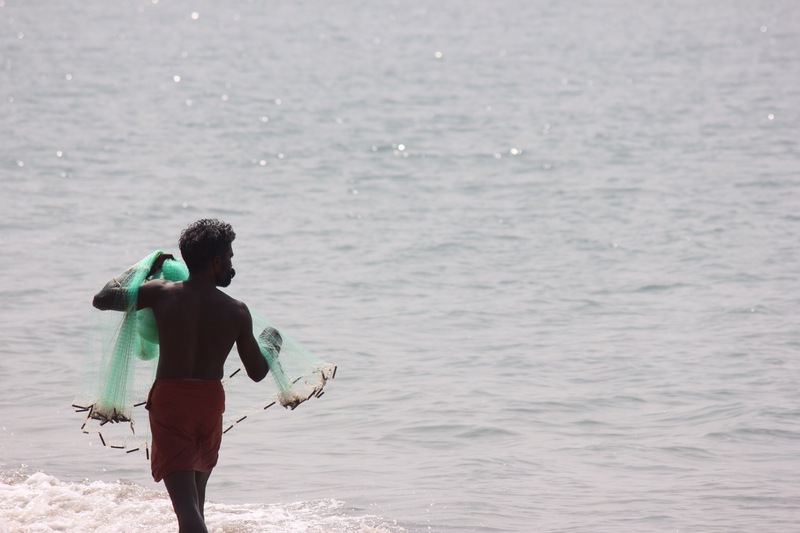 This guy walked up and down the shore, eyes focused on the water, net at the ready, looking for fish. After twenty minutes, stalking back and forth through the waves, he paused, and in a giant fluid motion cast the net out…and apparently missed. But it was gorgeous to watch, and also, he had a tremendous moustache.